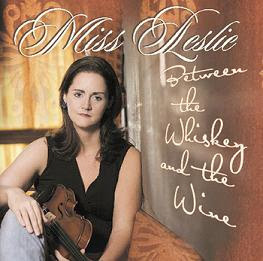 Warning: Between the Whiskey and the Wine by Miss Leslie is unadulterated hard-core, heartache honky-tonk music. Don’t look for irony. Don’t look for hipster detachment. This is real emotion. Nothing cute here. This is the sacred ground where Tammy Wynette and Kitty Wells have tread. Yuppie slummers, get packing. Leslie Anne Sloan’s clear, intense voice just stops you in your tracks. Unlike many female country singers, there’s nothing sugary, flirty, or kittenish about Miss Leslie’s voice. She enunciates every word and sings with a power that lets you know she means every word that leaves her lips. The liner notes let you know that this is a very personal album. According to one of Leslie’s hometown papers, the Houston Press, the singer went through a “rough divorce” (are there any easy ones?) since her previous album. 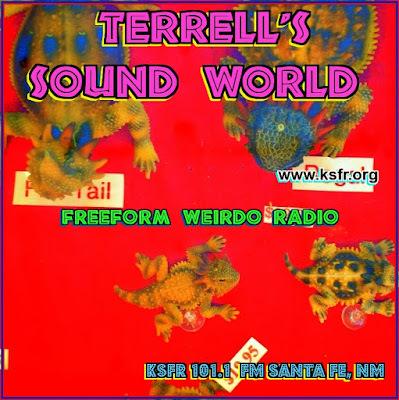 The songs here — every one an original — deal with her struggles with alcohol and coping with the divorce. Archetypal country fare to be sure, but nothing on this album sounds like a cliché. While Leslie’s earlier records — Honky Tonk Revival and the live Honky Tonk Happy Hour — are good authentic Texas country stompers, neither has the emotional punch of Between the Whiskey and the Wine. When she sings lines like, “So keep pouring drinks until I can’t remember/ Cause that’s the only way I know I’m bound to heal” (on “I Can Still Feel”) or “A shot of Makers on my left, a glass of red on my right and somewhere in the middle you’ll find me” in the title song, you get the feeling she knows what she’s talking about. Even on upbeat songs with hints of humor, like “Honky Tonk Hangover” (“My head is sore, I smell like beer/And all my money is gone”), there’s a troubling aura of truth that gives a troubling aura of truth that give the songs an edge. Adding power to Leslie’s music is her band, a bunch of two-step studs known as Her Juke-Jointers. The steel guitar of Ricky Davis (who has played in the bands of Dale Watson, Gary P. Nunn, The Derailers, and Asleep at the Wheel) and the fiddle, played by Leslie herself, drive the sound. Rounding out the Juke-Jointers are Ric Ramirez on upright bass (he’s served time with Wayne “The Train” Hancock) and Timmy Campbell on drums. After a dozen heartbreakers, the last song on the record, “Love Will Find You,” is like a ray of hope. Leslie sings it with just as much conviction as she does her woozy, boozy laments. 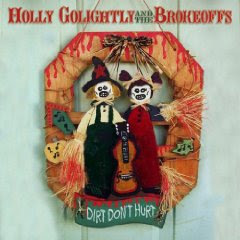 *Dirt Don’t Hurt by Holly Golightly and The Brokeoffs. OK, I’m not completely down on ironic, hipster takes on country music. And yes, “Holly Golightly” is her real name — Holly Golightly Smith, to be exact — even though some assume she lifted it from the character in Truman Capote’s Breakfast at Tiffany’s. Her latest album — the second released under the name Holly Golightly and The Brokeoffs — is a bluesy country romp with a jug-band spirit. The first album under that name was last year’s You Can’t Buy a Gun When You’re Crying. Religion’s on their minds on another tune, “Gettin’ High for Jesus” (”I’m gettin’ high for Jesus, cause He got so low for me”) featuring a squawking harmonica and tremolo guitar. By far the prettiest tune on the album, and indeed, one of the most gorgeous country melodies I’ve heard in years, is “Up Off the Floor,” a slow waltz that reminds me a lot of “Tennessee Blues” by Kris Kristofferson and Rita Coolidge.